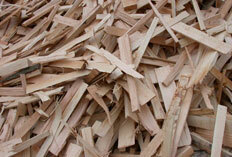 All our wood by products are now processed by LC Energy. 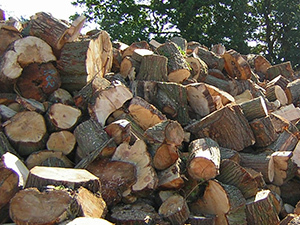 LC Energy is one of the UK’s leading specialists in sustainable wood fuel supply, complete biomass systems and long-term timber purchase agreements. LC Energymake their entire premium grade biomass wood chip from virgin timber from fully accredited and sustainable sources, harvested locally. 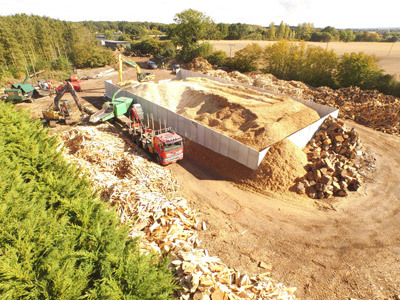 With 14 years’ experiance of suplying biomass wood chip to clients across Surrey, Middlesex, Essex and throught the South East, they have acquired extensive knowledge about the wood chip industry which they can pass on to their clients to ensure they have the optimum supply for their biomass. They have been awarded the independent Woodsure Accreditation and are in the process of obtaining the mamagement standard ISO9001. Bark – from the outside of the tree. 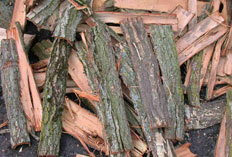 Length of all bark is 711mm or 28 inches long, width varies from narrow slithers to around 6 inches in winter. In summer width can be up to 1.5 metres. Thin, clean off cuts from the circular saw process. All are 711 mm or 28 inches long and are very clean. Thickness can vary approximately from 2 mm to 100 mm, with some pieces larger and some smaller. 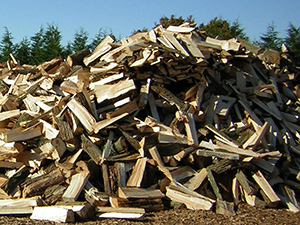 Larger sections of wood up to 711 mm or 28 inches in length with diameters of between 3 inches to 18 inches, with some pieces larger and some smaller. This is the wood we cut from the end of the trees before we start our manufacturing process. This range in size from approximately 16 Inches in diameter to around 60 inches in diameter.